Before we discuss about the main topic for today, I'll be talking briefly about pregnancy dating. Pregnancy is dated based on the last menstrual period, LMP (1st day of menstruation) and NOT the date of conception. Hence, if the cycle is longer than 28 days, the number of days in excess must be added to the LMP. In most antenatal clinics, gestational calender is available in assisting you in calculating the EDD. However, there's always a difference in a day or two compared to the previously calculated value. Pregnancy dating done using USG method before 20 weeks of pregnancy is more accurate than any other methods used. However, after 20 weeks of pregnancy, dating done by USG is not reliable, since there's a variability in terms of the growth of different fetuses. c) What are the main concerns of the mother? Is there other problems present? Is there any h/o of PV leakage, bleeding? Any contractions felt? How many USG scans done? Past obstetric history provides the most important information regarding the risks of current pregnancy. Year, period of gestation, chorionicity, mode of delivery, outcome, any pueperial complications, and status of child currently. Now, record the parity index. In a twin pregnancy, it's counted as 2. Another way of recording the parity is by noting down the parity index as usual, followed by the number of pregnancies not resulting in a live birth or still birth after 24 weeks. H/O of OCP intake, especially when conception occurs right after the stoppage of OCP intake. This renders difficulty in pregnancy dating. Or sometimes, women may conceive when the Intrauterine devices are still in-situ, which increases the risk of ectopic pregnancy. When is the last pap smear done? Yes, every year cervical cancer is detected in small amount of pregnant women. If the pap smear is normal, have there in incidence of previous abnormalities? What have been done for such abnormalities? Any h/o of ectopic pregnancy? If yes, where is it? What have been done? 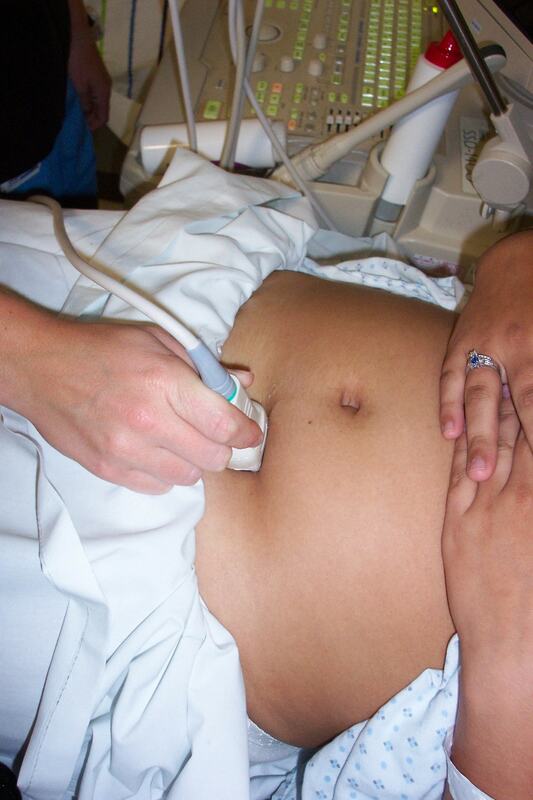 H/O of ectopic pregnancy increases the risk of recurrence in current pregnancy for 1 in 10. Any h/o of multiple 1st trimester termination of pregnancy? Any h/o of surgery done in the uterus? Is the present conception assisted? Previous surgical history - what anasthetics are used? Is there any complications? Is there h/o of post-partum depression? Is there h/o of non-pregnancy related depression? Any other major psychiatric illness? Weight measurement is to detect any underweight and overweight mothers. Any pregnant women with BMI <20, risk of IUGR and perinatal mortality increases, particularly if the weight gain during pregnancy is poor. On the other hand, those with BMI >30 (obese), those are at risk of GDM and pre-eclampsia, and fetal assessment is more difficult (palpation and USG). On top of that, there's risk of excessive birth weight, perinatal mortality increases. Measurement of height initially only aids in calculating the BMI. However, later if there's IUGR/macrosomia, measurement of heights and plotting it into various curves aids in accurate diagnosis of IUGR/macrosomia. Proceed to measuring other parameters of vital signs -> temperature, pulse rate, and respiratory rate. First, position the patient is semi-reccumbent postion, since most of them in their late trimesters or those having multiple pregnancies won't be able to lie down flat/supline. Cover their legs with sheet, and request a caperone. Comment on the shape of uterus, and if there's any asymmetery. Any scars? If surgery performed long time ago, mothers might not mention it to you. First, measure the symphysio-fundal height (SFH). 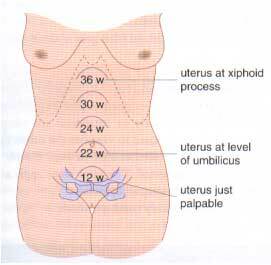 Gently palpate for the top of the uterine fundus, then feel for the upper border of pubic symphysis. Use the measuring tape, with centimetres down, measure the SFH and plot in under the symphysis-fundal height graph. Many clinicians thought that SFH = period of gestation in weeks, but actually SFH in 2cm less then POG. Large SFH = wrong dates? macrosomia? polyhydramnios? missed multiple pregnancy in USG? Small SFH = wrong dates? IUGR? oligohydramnios? Then, perform the fundal grip, lateral grip (limbs and spine), and pelvic grip. Determine the number of fetal poles, which can be either the fetal head or bottom. If there's only 1 or 2 poles, it's usually a singelton pregnancy. Fetal lie is only determine when period of gestation is beyond 34 weeks, where it's defined as the relation in btw the fetal spine to maternal spine. If fetal pole is felt over the pelvis, regardless of the position of the other pole, it's considered as longituidinal lie. If fetal pole is not felt over the pelvis, just to one of the side, it's considered oblique. If the fetal spine is perpendicular to the maternal spine -> transverse lie. Now, again, if POG is > 34 weeks, you need to determine the fetal presentation. It's usually cephalic (heads down) or breech (foot/bottom down), where the former is firmer than the latter. If you've determine the presentation is cephalic, try determine whether it has engaged or not, by noting the number of fifths of the fetal head palpable. If the entire fetal head is palpable, which renders it mobile, it's recorded as 5/5. It's considered engaged if only 2/5 or 1/5 of fetal head palpable, which is non-mobile. Don't try to determine the fetal position, where it's only of important during onset of labour and only of significance when the progression of labour is slow. 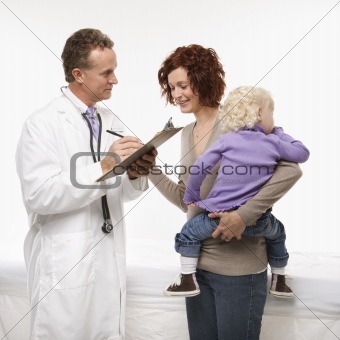 Or it's better to use the hand-held doppler device since it can be appreciated by the mother.